Sport Clips Pismo Beach believes in putting our values in action, which includes giving back to our local communities. In order to accomplish this, we are involved with multiple charitable organizations to do our part in enhancing the lives of others. 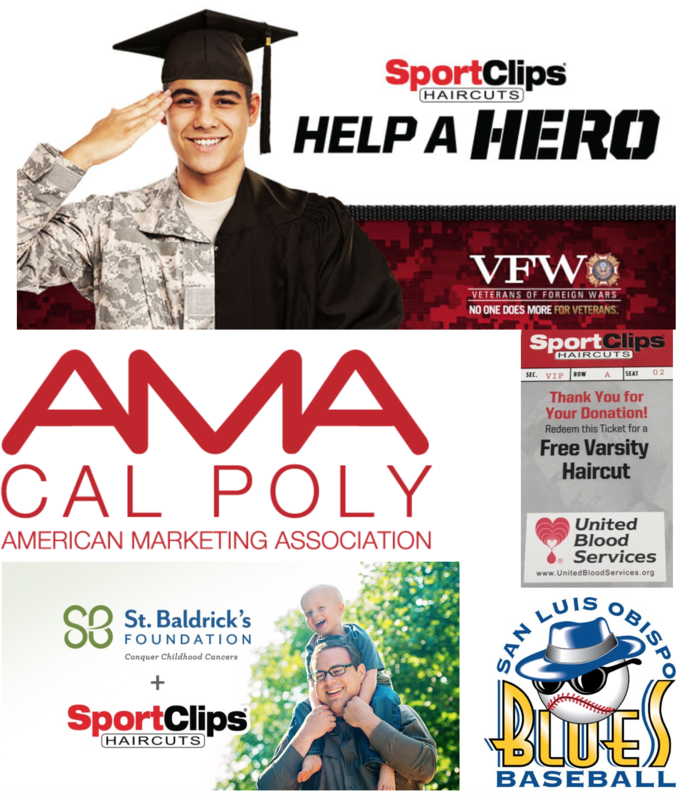 → To support and honor our nation’s heroes, Sport Clips Pismo Beach annually raises funds for the Veterans of Foreign War's (VFW) Sport Clips Help A Hero Scholarship program. These funds provide scholarships for returning servicemen and women for use at both post-secondary schools & trade schools to ease the transition back into civilian life. To date, Sport Clips has raised over $1.2 million in scholarships to active-duty service members and veterans.